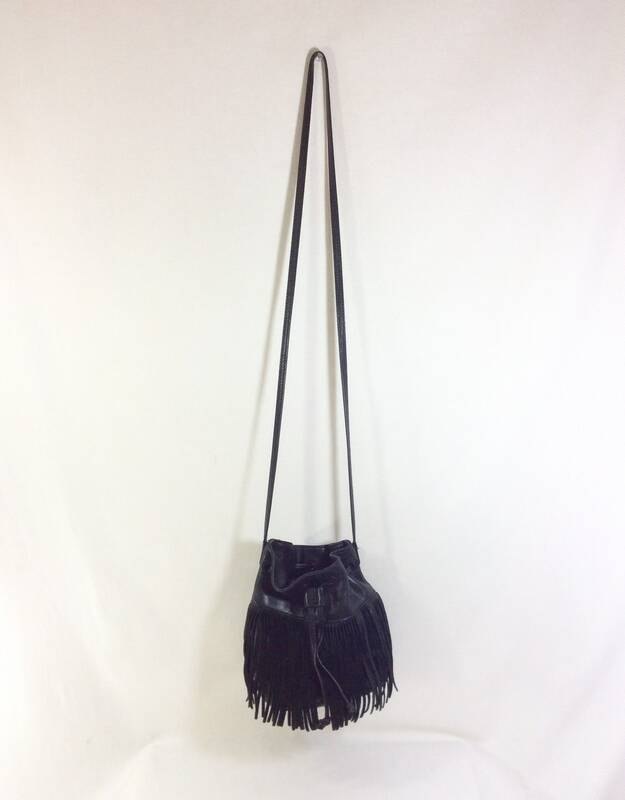 Complete your boho look with this fabulous fringed purse! 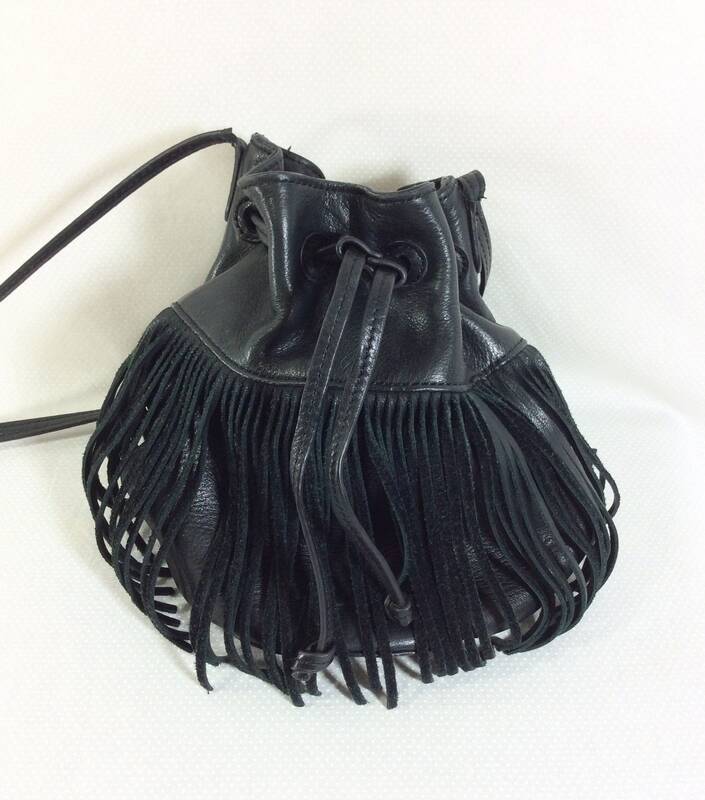 This bucket style purse was made by "Margot" and is constructed out of genuine leather. 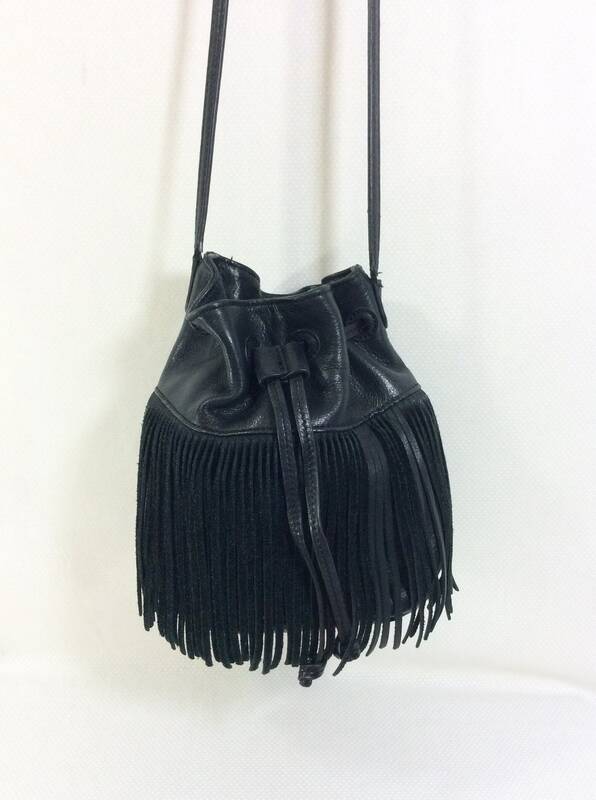 The exterior of the bag is decorated with 5.5 inch fringe. 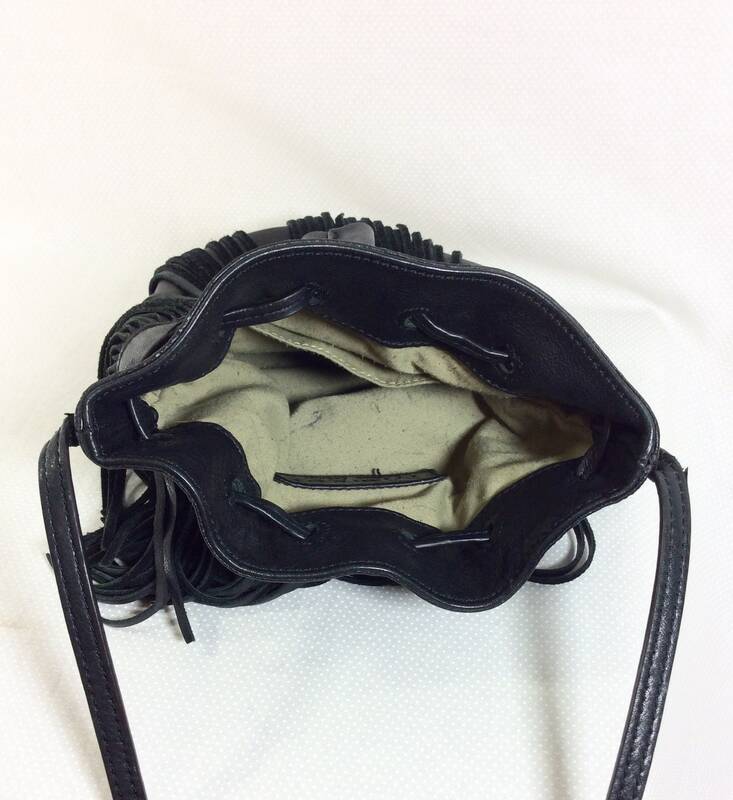 The purse opens/closes with a leather drawstring. The bag is just the right size and has a generous opening. It is large enought to fit all of the essentials like your iphone, wallet, keys, lipstick, etc. The circular base of the purse measures 7 inches across. The body of the bag measures 8 inches tall. 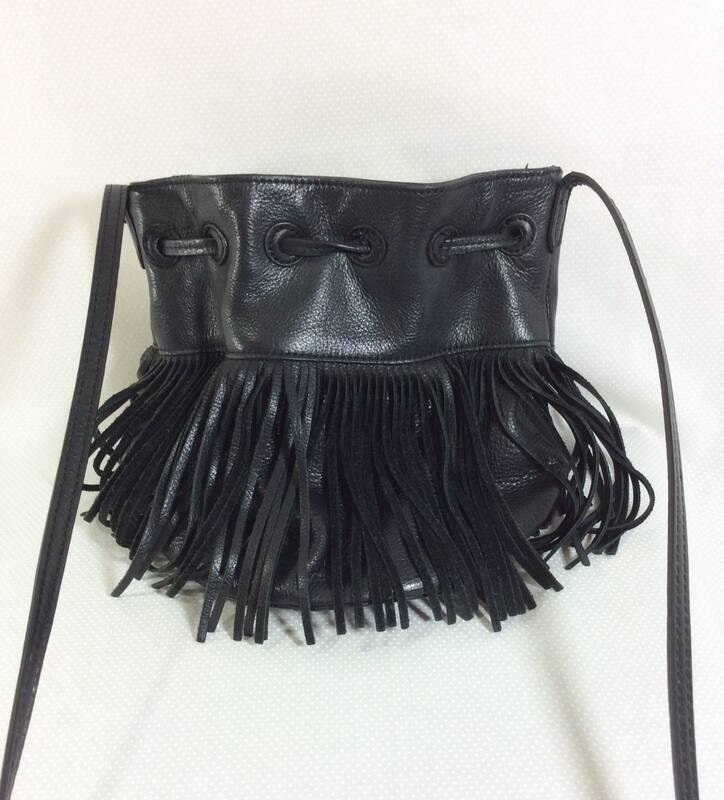 The body of the purse is attached with one long strap that hangs approximately 26 inches long. The inside of the purse is lined with a beige canvas lining and has one inside pocket. Please note that there is a bit of piling and a couple pen marks on the lining, but it is otherwise clean and still perfectly usable. Overall this item is in good vintage condition was stored in a smoke-free environment. 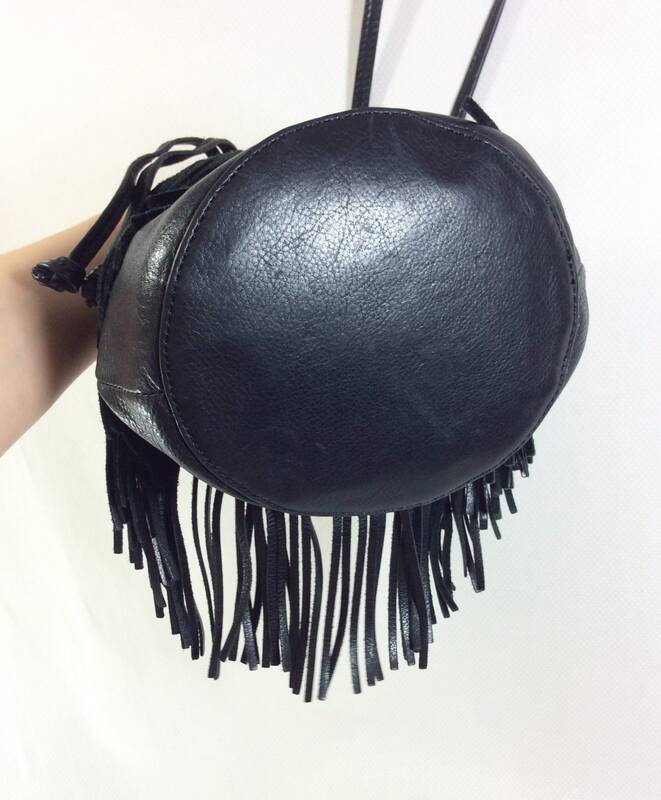 It would make a great accessory for a music festival or daily life!